If you are clueless about which fabric goes with which texture, or want to know how to arrange a bookcase, stick around. Better Homes and Gardens have come up with the answers. They've included design secrets from the professionals which is exciting. 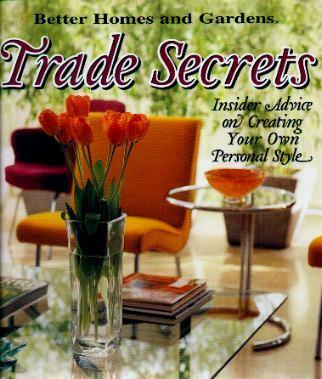 Whether you're decorating from scratch or looking for ideas, you're bound to find oodles of ideas in this book. I love examining the photographs closely to try and pick out things that could work for me. Of course not all of us have the space the designers have, or the budgets, but a few subtle and inexpensive (substitute in your price range) alternatives would work just as well. I loved the sitting room on page 81 (especially the flower arrangement! ), the comfy living room on page 185 (note the wall behind the bookcases), the tranquil elegance of the dining room on page 116, and the simplicity of the room on page 90. There really are no "rules" to decorating, only we need to achieve balance along the way. Conclusion - A treasure of a book and so useful.